This review of the Pattern Trader explains why you should not be trading with this system of Jeff Robbins. 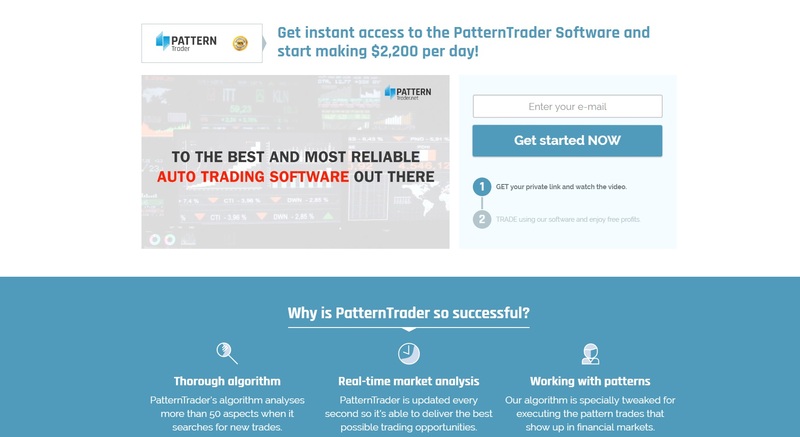 Robbins claims that Pattern Trader is an app for trading binary options that can make you $2,200 per day. And because money is free, isn’t it, you can get the Pattern Trader App for free. Robbins is of course a liar and Pattern Trader is a scam. 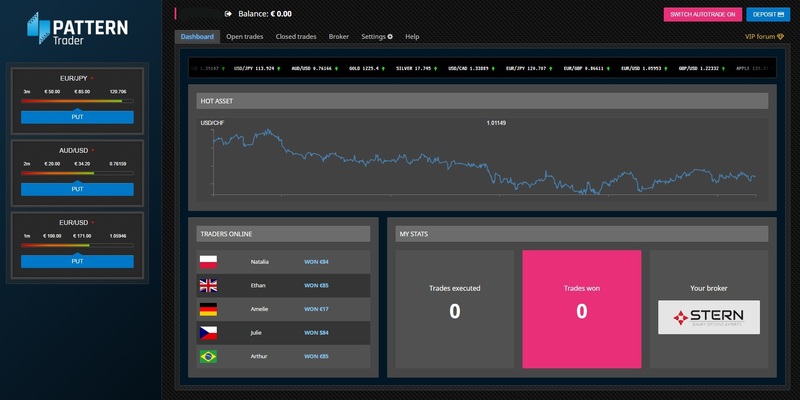 It is not free, it will take your money and lose it in trading. 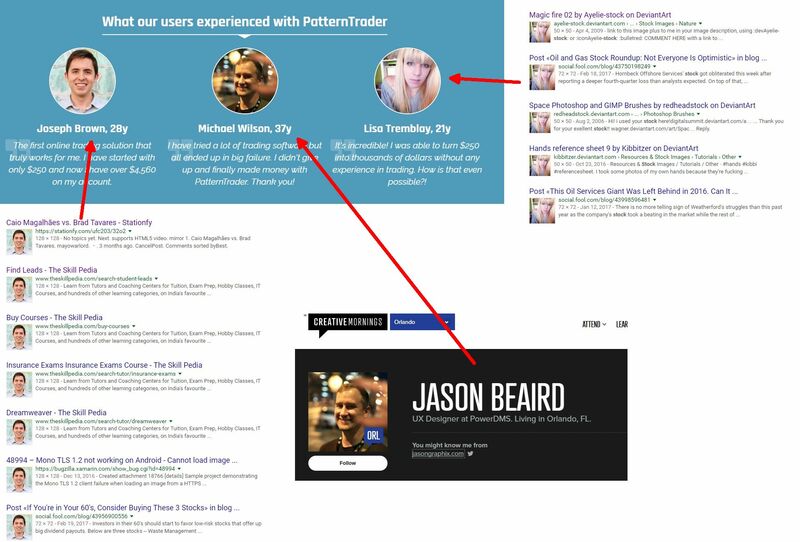 Here is one undisputable proof that Pattern Trader is a scam. Take a look at the testimonials they show you, they are fake. They used photos from people who don’t even know about it and they made up stories about earnings. Robbins keeps stressing that he won’t take a single cent from you, but right after registering he will ask you to deposit at least $250 with his broker. So the Pattern Trader App is not free, you won’t be allowed to use it until you deposit. So another lie from Robbins debunked. You know why Robbins asks you for a deposit with a broker that you cannot choose? Because he is getting paid by this broker for referring new depositing clients, simple as that. This is why he doesn’t need his software to be profitable, in fact it can be losing money, because when you realize it, he will already have his commission from his broker for making you deposit. Pattern Trader of Jeff Robins is a scam that is designed to make you deposit money with a certain broker, that’s the only purpose of this program. Don’t expect to make any money with it! If you really want to make money with binary options, you’d better start training on a demo account and build a profitable strategy. Forget about free money making robots, they are all scams. i was also thinking he is saying 2200 dollars u can earn daily and that is a minimum profit . how can it will be possible . money is not that easy .